place in us and we never take it for granted thank you. Consider us for your appliance repair needs. 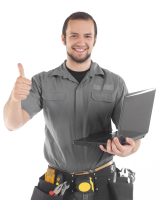 We will provide you with a proper and honest diagnosis, cost estimate and competent repair. We will fix your appliance right at a fair price. We strive to provide our customers with the best value in our industry.